Iridium Communications Inc. (NASDAQ: IRDM) has announced the commercial launch of the company's Iridium Certus broadband service, the first new capability activated from the company's $3 billion Iridium® NEXT satellite replacement program. 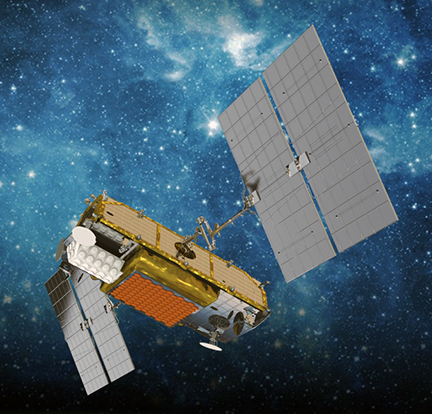 Artistic rendition of an Iridium® NEXT satellite. Iridium Certus is a unique platform designed for the development of specialty applications and is the world's only truly global broadband service, offering on-the-move internet and high-quality voice access. The service enables mobile office functionality for deployed teams and two-way remote communication for assets, autonomous vehicles, trains, aircraft and ships at sea. This also includes safety-of-life services, where Iridium Certus is uniquely suited for the critical communications needs of teams operating beyond the reach of cellular coverage, including first responders and search and rescue organizations. This announcement marks the end of an extensive global testing phase, including beta trials with live customers; the initial service is targeted at maritime and terrestrial applications, with Iridium Certus aviation solutions expected later in 2019, once certified. Iridium Certus enables a unique and high-value suite of mobility applications and true Comms-On-The-Move (COTM) capabilities with the known robustness and reliability that come with being a cutting-edge L-band user network. This includes keeping lone workers, crews at sea or operational aircraft safely connected and maintaining consistent communication, regardless of location. Iridium Certus can also support applications that serve remotely deployed IoT devices or mobile platforms like UAVs for vital command and control links for the long haul delivery of critical supplies like vaccines and medicine. 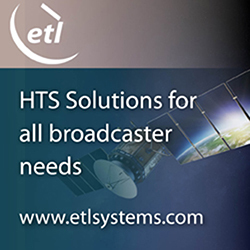 In addition to operating on the only truly global satellite constellation, Iridium Certus terminals are smaller in form factor, will offer higher speeds and are more cost-effective than competitive L-band broadband offerings. Terminals are being built by Cobham (maritime), Thales (maritime, aviation and land-mobile), Rockwell Collins Aerospace (aviation), L3 (aviation), Gogo (aviation) and Satcom Direct (aviation). To date, 36 world-class service providers are authorized by Iridium to provide the service around the world. Iridium is debuting the service, which will feature a variety of speed classes, with the Iridium Certus 350 (352/352 Kbps) offering, which supports capabilities such as internet and high-quality voice services to compact terminals built specifically for maritime, aviation and terrestrial/vehicle applications. Terminals will be upgradable to the next speed class, Iridium Certus 700 (352/704 Kbps), with a firmware update once available. Initial activations of the service occurred in December of 2018 with excellent system performance. Iridium Certus is powered by the Iridium LEO satellite network, comprised of 66 crosslinked satellites that create a web of coverage around the entire planet. Unlike other satellite systems, Iridium's crosslinked architecture enables real-time transit of data to and from any location on the globe without the need for abundant ground stations and allows it to maintain consistent, high quality coverage, including over the oceans and polar regions. Iridium CEO Matt Desch said that the debut of Iridium Certus is the start of a new chapter in the Iridium story, one that is set to catapult the company and partners forward. At its core, Iridium Certus is an innovation engine for the future and will enable broadband connections to teams, vehicles and the important IoT "things" that are in the 80 plus percent of the world that lacks cellular coverage Adoption of this new service by Iridium ur partners has already started and it has been eagerly anticipated by every target industry. The launch of this service is a huge achievement and it is already disrupting the status-quo through the firm's smaller, faster, lighter and more cost-effective terminals and service. Holger Börchers of Briese Schiffahrts GmbH & Co. KG, Leer/Germany noted that Iridium Certus is delivering real-time connections everywhere the company's vessels travel. As a result, shipboard communications, vessel performance systems and the crew themselves are never out of contact. The company is now able to upgrade existing broadband terminals to Iridium Certus to ensure the firm is the highest throughput at the best cost on the newest global network. Iridium Certus is a game-changer . Chris Sepp, Senior Director, Information Technology at Rocky Mountaineer, added that the company is a luxury tourist train that travels through some extremely remote parts of the Pacific Northwest and Western Canada. Iridium Certus has been everything the company could have hoped for in terms of maintaining consistent communication, in spite of the challenging operating environment. This is a major upgrade to the firm's existing capabilities with positive effects for safety, tracking and efficiency nd the company will continue adding the service to our trains."